Surgical smoke containing potentially carcinogenic and irritant chemicals is an inevitable consequence of intraoperative energized dissection. Different energized dissection methods have not been compared directly in human laparoscopic surgery or against commonly encountered pollutants. This study undertook an analysis of carcinogenic and irritant volatile hydrocarbon concentrations in electrocautery and ultrasonic scalpel plumes compared with cigarette smoke and urban city air control samples. Once ethical approval was obtained, gas samples were aspirated from the peritoneal cavity after human laparoscopic intraabdominal surgery solely using either electrocautery or ultrasonic scalpels. All were adsorbed in Tenax tubes and concentrations of carcinogenic or irritant volatile hydrocarbons measured by gas chromatography. The results were compared with cigarette smoke and urban city air control samples. The analyzing laboratory was blinded to sample origin. A total of 10 patients consented to intraoperative gas sampling in which only one method of energized dissection was used. Six carcinogenic or irritant hydrocarbons (benzene, ethylbenzene, styrene, toluene, heptene, and methylpropene) were identified in one or more samples. With the exception of styrene (P = 0.016), a nonsignificant trend toward lower hydrocarbon concentrations was observed with ultrasonic scalpel use. Ultrasonic scalpel plumes had significantly lower hydrocarbon concentrations than cigarette smoke, with the exception of methylpropene (P = 0.332). No significant difference was observed with city air. Electrocautery samples contained significantly lower hydrocarbon concentrations than cigarette smoke, with the exception of toluene (P = 0.117) and methyl propene (P = 0.914). Except for toluene (P = 0.028), city air showed no significant difference. Both electrocautery and ultrasonic dissection are associated with significantly lower concentrations of the most commonly detected carcinogenic and irritant hydrocarbons than cigarette smoke. A nonsignificant trend toward lower hydrocarbon concentrations was seen with ultrasonic scalpel dissection compared with diathermy. The contamination levels in city air were largely comparable with those seen after ultrasonic scalpel use. Although hydrocarbon concentrations are low, cumulative exposures may increase health risks. Where concerns arise, ultrasonic scalpel dissection may be preferable. 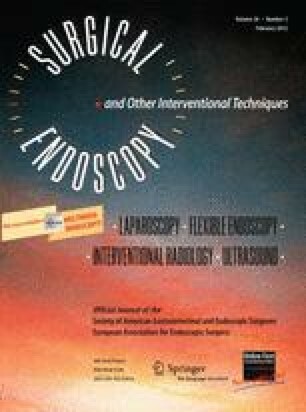 The authors gratefully acknowledge the support received from the University of Aberdeen through an unrestricted research grant provided by Ethicon Endo-Surgery GmbH, Norderstedt, Germany. J. Edward F. Fitzgerald, Momin Malik, and Irfan Ahmed have no conflicts of interest or financial ties to disclose.